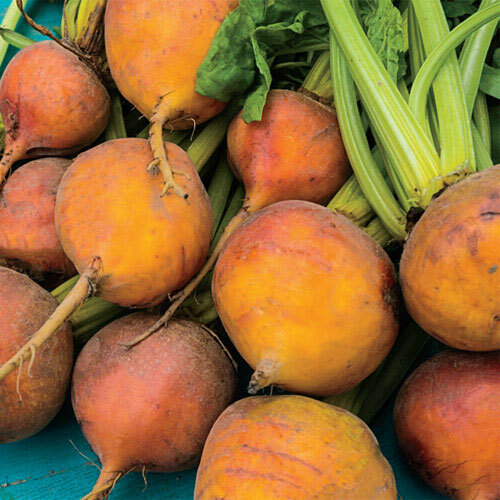 Boldor Beet | Gurney's Seed & Nursery Co.
FoliageCompact tops are light green with yellow stem and veins. Young and tender beet leaves can be used as greens. FruitSmooth, dark golden skin with a brilliant yellow interior. Excellent, sweet flavor. Soil RequirementsLight, well-drained, cool soil with a pH between 6.5 and 6.8. Seed CountApproximately 200 seeds per packet. CommentsThe best quality, best tasting golden beet on the market. Smooth, dark golden skin with a brilliant yellow interior. Excellent, sweet flavor.